Yesterday, long-time WAC member Angel Reyes filed a lawsuit in small claims court against Canada Fibres Ltd. and United Staffing Services for wrongful dismissal. Angel worked for almost 5 years sorting garbage at Canada Fibres Ltd., Toronto’s largest recycling plant, through a temp agency, United Staffing Services. He earned minimum wage, had no benefits and worked alongside permanent staff making more than him doing the same job. 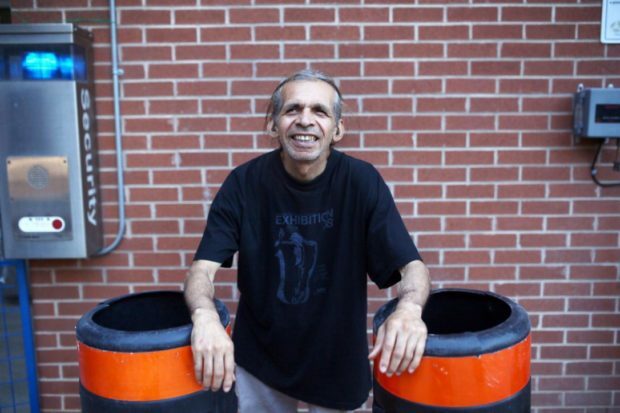 Angel shared his story with the Toronto Star on May 10, 2015, as part of a four-part series on precarious work. In that story, he made the simple request that Canada Fibres Ltd. hire him directly. One week later, Angel was fired without notice or termination pay, and with no explanation. A Toronto Star editorial denounced the way Angel was treated, and people across Toronto and the province criticised Ontario’s Employment Standards Act for giving few protections to temp agency workers. The lawsuit attempts to hold both the temp agency and the company jointly responsible for Angel’s treatment, something that the Employment Standards Act does not do. Angel’s experience is not uncommon. That is why the law needs to better protect temp agency workers. Companies should be required to hire temp agency workers directly after 6 months, and temp agencies should not be allowed to ever charge fees to companies who do. Companies should be required to give temp agency workers the same wages and benefits as directly hired staff doing the same work. Temp agencies and client companies should be held jointly responsible for all the rights of their workers. And temp agencies should have to tell workers how much they are charging companies per hour for their work (the “mark-up”). Canada Fibres Ltd., which has a contract with the City of Toronto for recycling processing, may also have violated the City’s Fair Wages Act by using temp agencies that pay minimum wage for work that is otherwise paid a higher wage in the sector. The City’s Fair Wages Office has opened an investigation into the case to determine if Angel, and potentially other workers, are owed back wages for their work at Canada Fibres Ltd.
Angel wants his experience to help make things better for other workers, and he is part of a movement demanding decent work in Ontario. Now is the time to make change happen, as the government reviews the province’s labour laws. Tell the government that temp agency workers need better protections. Email Minister of Labour Kevin Flynn, or tweet him @OntMinLabour and @MPPKevinFlynn. Tell him it’s #time4decentwork in Ontario, and ask your friends, family, co-workers, and neighbours to do the same. Sign up for email alerts, and check our website, facebook, and twitter regularly for updates and to find out how you can get involved in the fight for decent work.